Brand lessons from our trip to Bauma, Munich. 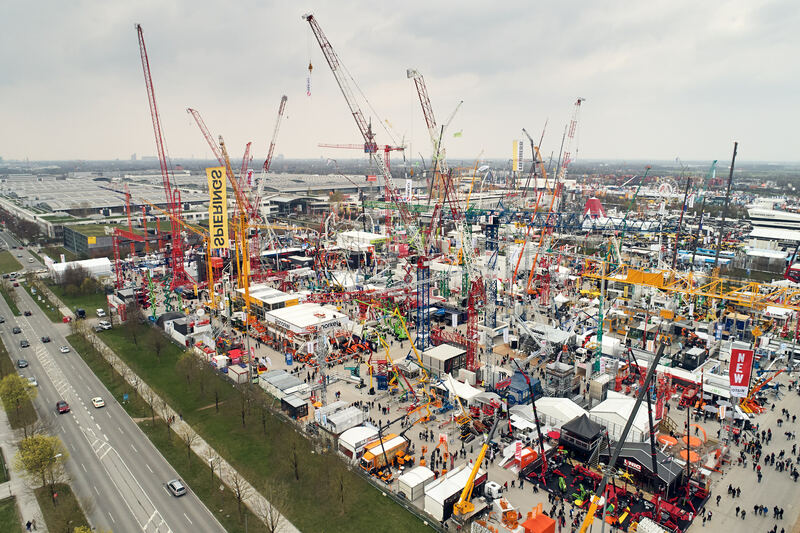 Bauma is a triennial trade show with around 3,500 exhibitors showcasing all things construction. It attracts about 600k visitors… it’s massive. The task Mark and I set ourselves was to visit our clients, and to see what their competition was doing so we could better advise them. There was a relentless, overwhelming bombardment of brand information. The exhibitors had collectively invested high for the week-long event, led by the industry giants like Caterpillar, Liebherr and Volvo CE. Along with all these branded pavilions and stands (some the size of football pitches), was a huge range of attractions – from ferris wheels and VR games to choreographed dancing diggers and zeppelins! In our opinion, shouting loud and throwing your message at people seemed to be the predominant marketing strategy. So yes, everything was big. But surprisingly, not that well considered. Look slightly beyond the surface and you can see that much of this marketing is lost, and very little sticks. Reliability, Safety, Sustainability and Efficiency… each brand’s claims are so similar to the last. So, how do you stand out? Clearly not by SHOUTING, because someone will always be louder. Great brands don’t need to shout – their reputations are built over time and by consistently doing ‘the right thing’ (or at least by doing ‘their thing’). Do what you say – if your product benefit is sustainability, don’t have single use plastic cups. And if you’re a proud British brand, don’t give away Swiss chocolate. The devil is in the detail. Which seems the perfect place to give a special shout out to our client Terex Trucks. Their honesty and integrity could certainly be heard above the noise at Bauma. They design, build and service high quality reliable articulated trucks in Scotland and export them all over the world. One team. One product. One focus. With Undivided Attention printed above their heads, they practised what they preached – giving everyone their time and a truly unique West of Scotland welcome (and yes, we are a tad biased). 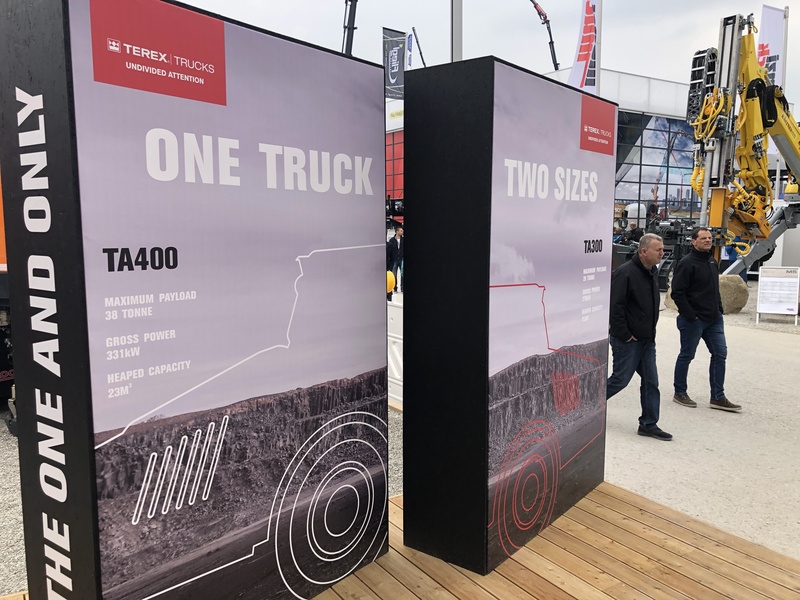 So, bring on Bauma 2022… but for now we will find a darkened room and Goliath down. ps. it wasn’t all work… the Bratwurst and German beer went down pretty well too!